As levies rise throughout Australia, here are the essential tips on how to get the best waste collection service possible. Industry veteran Mike Ritchie gives the low down. Companies regularly ask for advice on the ‘best’ and most cost-effective recycling and waste management systems, particularly in a rapidly changing market with lots of innovation going on. Waste services costs in Australia are rising at a much faster rate than other business costs, growing at an average of seven per cent a year for the past four years. Australia-wide the commercial sector accounted for about 30 million tonnes (MT) of the country’s 42MT of total waste generation, and about 15MT of the 22MT of waste sent to landfill (the rest is recycled). Put another way, it represents about 70 per cent of generation and 70 per cent of landfill. State governments are rapidly increasing landfill levies (taxes) to achieve their goals of waste diversion from landfill. Victoria has announced it will increase its landfill levy to $50 per tonne of landfill waste during the next few years. NSW is lifting its levy from $58.80 to $118/t by 2014 and the ACT’s (embedded) levy will go from about $60 to $100/t. It is likely that some other states will follow, perhaps not at the same speed or scale (SA is currently at $22/t, WA at $7, the others zero). State EPAs are also driving up costs through requirements for improved landfill performance, while climbing fuel and labour costs have a huge additional impact. Whereas waste management currently represents an estimated of 0.4–1 per cent of business costs, it is likely to increase to at least 1–2 per cent of costs over the next five years. So how do you procure waste management services in a cost-effective manner that avoids the worst of these cost rises? Don’t forget that waste is simply a sign of inefficiency in the business or the supply chain. Ultimately, you are paying to bring the waste onto your site as a business input, move it around as an operating cost and dispose of it as a waste stream. So first and foremost, look upstream and try to reduce waste generation in the first place. Recycling and diversion from landfill can save your company money, particularly for valuable product streams such as ferrous metal, aluminium, paper and cardboard, some plastics and polystyrene. In Sydney, the high landfill levy is making it cost-effective to now recycle timber, pallets, soils, organics and some other more complex streams such as e-waste. But in many other regions, it remains more expensive to recycle complex waste streams than to landfill them. So make sure you understand the costs before you launch into grand schemes to recycle everything. I often see companies whose board has set an audacious goal for recycling – “a 50 per cent reduction in waste to landfill by 2014” – but has not understood the cost implications or allocated the funding to achieve it. The schematic (top right) shows the relative cost of separation and recycling for common commercial waste streams, so target your recycling at the low hanging fruit. The key is to focus recycling on the big streams with inherent value. If you get it right, there can be real and sustainable savings, not just from being paid for the recyclables but also by avoiding higher landfill costs. • Most importantly, the opportunity cost of the alternative landfill disposal. These are summarised in the graph above. It shows if you are in Sydney, then achieving a 20 per cent recycling rate should save your company 11 per cent in total waste management costs. A 50 per cent recycling rate will save you 29 per cent. So the economics of recycling vary per state and region as well as per waste stream. It is not an exact science. So how do you go about procuring a decent and cost-effective waste management system? Most small companies will just get written quotes from the collection company sales reps as it is not worth the cost of administration to run a tender. So if you are an SME, get at least three quotes and make sure you are comparing apples with apples. Don’t forget to negotiate and push back for either additional services or a price discount − but not too hard as it won’t achieve much in the long term (see discussion on up-rates later). Most medium and large waste services are procured through tender. But if I had one take away message it is this – too many companies waste too much money on poorly targeted tenders. A common mistake is to use a general procurement tender specification for a waste tender. Waste is not electricity or pencils or fuel. The tender document needs to be written for waste. It needs to be simple, specific and able to be accurately priced by tenderers. If you are unsure about your waste streams, do an audit or get a contractor to do one. It will save you a lot of money in the long run. Then tender in line with your company goals. Waste collected from your business may be charged on a volume basis (usually m3 or litres) or weight basis (usually kg or tonnes), while disposal to landfill is usually charged in tonnes. The reason is weight scales on trucks are not accurate enough to be able to charge you by weight, so the controlling authority (Weights and Measures) says collectors may only charge by weight when the waste is put over a proper weighbridge. Waste reps do some mental arithmetic to convert volume to weight via the density of your waste. An average bin weighs 80kg/m3 but can be as light as 30kg/m3 (plastic and polystyrene) or as heavy as 300kg/m3 (food, masonry, etc). So density matters. The higher the density, the more you will pay for disposal. In Sydney, the average waste collection is $18/m3 in a front lift skip bin. At 100kg/m3 density, almost $15/m3 of that will be waste disposal and only $3/m3 is collection costs (and profit). This clearly shows the role that landfill costs pay in driving your business costs. Make sure you’re clear in your tender with what you want. • Set key performance indicators. When you buy a mobile phone on a three-year contract, you know the price for three years. Not so for waste contracts. You can sign for three years but most waste contracts allow the collector to increase (up-rate) your bill at their discretion (and you are still locked into the contract). It is not unheard of for less credible collectors to tender at ridiculously cheap rates and then six months later up-rate the client to recover profit. The collection fee can be up-rated as many times as the collector sees fit and there is nothing you can do about it. So be careful. You’d be wise to choose a credible provider with a good reputation. Price and service are closely linked. Which do you want more – your bin picked up each week or to save $1/m3? Cheap price is often an indicator of cheap service (but not always). Finally, watch the termination or renewal date. Often you are required to notify the collector up to three months prior to the end date of the contract if you wish to terminate. If you don’t give notice, the contract will automatically roll over for another three years. Unfair termination of a contract generally leads to liquidated damages, so don’t just terminate on a whim – it can hurt. However, if you are unhappy with your existing provider (and you have a binding contract with them) that does not necessarily mean you cannot bring another contractor on to your site to do an unrelated or additional service. Make sure you check your contract. 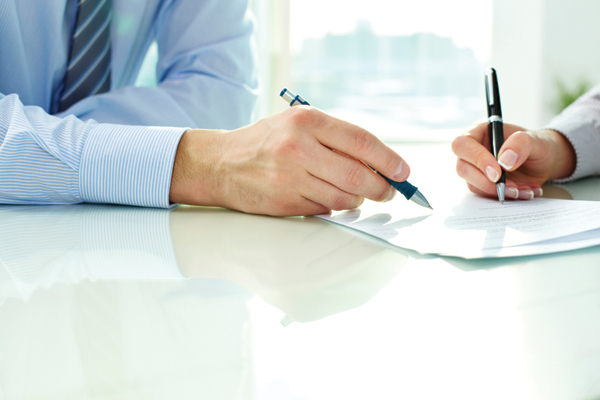 If in doubt, get a consultant to advise you on both your contracts and your tender. Waste consultants, although an additional cost, will often pay for themselves in months through savings in waste costs and revenues from recycling. Waste companies love picking up air (empty bins) and being paid for it, so make sure you don’t have empty bins being serviced. One simple fix is to padlock empty bins and only open them as the other bins are full. • Most waste and recycling contractors are very professional. They can provide new systems, signage, training and education if you ask and can pay them a fair return.